In a previous blog, I revisited my experiments at Kingsize studios with Luke White. The experience of being the first in NZ to successfully shoot wet plate collodion with strobes stayed with me in a big way for the months and months after the first portraits we made, not only was it awesome to feel like a pioneer in a modern land, but working with studio portraiture is something that I am immensely passionate about, so smashing the technology of the 1800s against the modern 21st century technology of artificial lighting just blew my mind when looking at the final aesthetic. 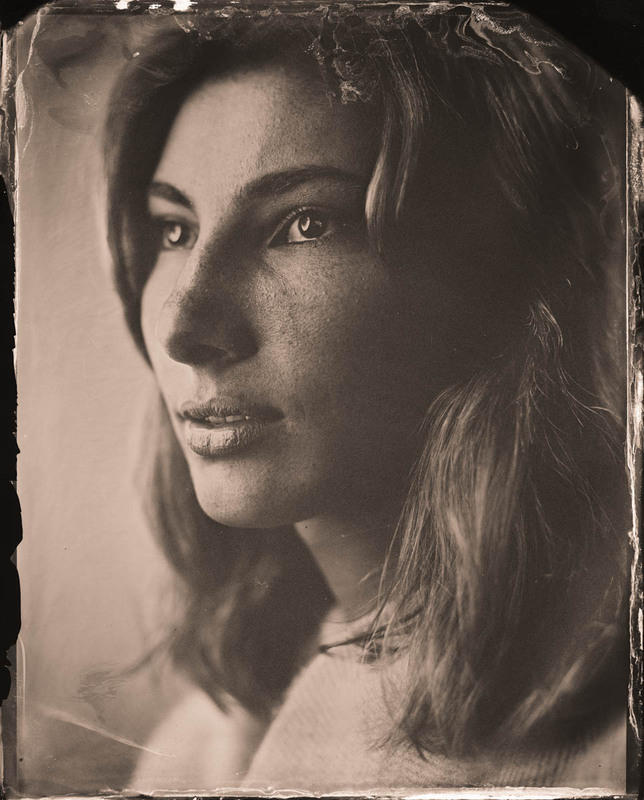 The wet plate collodion process has a film speed of VERY VERY slow and as stated before, it takes the power of the sun to punch out an image in silver on glass or metal. Since that visit, I had been collecting old power packs in an attempt to match the amount of power that was available at Kingsize studios. I could match the power, but I couldn't match the studio space, the light shaping options and of course the in-depth knowledge of light that Luke White has. Luke has the same amount of enthusiasm for the wet plate collodion process as I do for shaping light and studio portraiture. With a first class honours in photography, previous work as a commercial photographer and also being the manager of Kingsize studios, it was a match made in ether .... the Alsop/White collaboration was born. Luke and I had been talking about a collaboration pretty much ever since we made the first images last July, however, as is often the case, time and geography got in the way. It wasn't until August 2015 were we able to pull it all together. Collaboration is something I am very interested in, but often geographic isolation has prevented. One of the keys to grow as an artist or creative, is to surround yourself with other artists or creatives. Luke is a self confessed "physics guy", he is fascinated by light and shaping light, however, he also has an extensive knowledge of photography theory and art, which was reflected in the silver images we made in 2014 and 2015. My brief was simple, get myself from Tauranga to Auckland (3 hours) in a car filled with toxic photography chemicals for 8am (arriving with red eyes for more than one reason). Luke had put alot of effort into lining up a host of New Zealands artists, musicians and next top models and we would spend 2 days shooting them, making 40 images in total, which is actually quite an impressive haul, considering you shoot at a rate of about 3 images per hour. On the day of shooting, I was introduced to Lee Howell, a highly talented commercial photographer working in Auckland who would be assisting us for the day, and as it turned out, without his invaluable help and input, we would have struggled to achieve the fast pace and high quality standards that we had set ourselves. 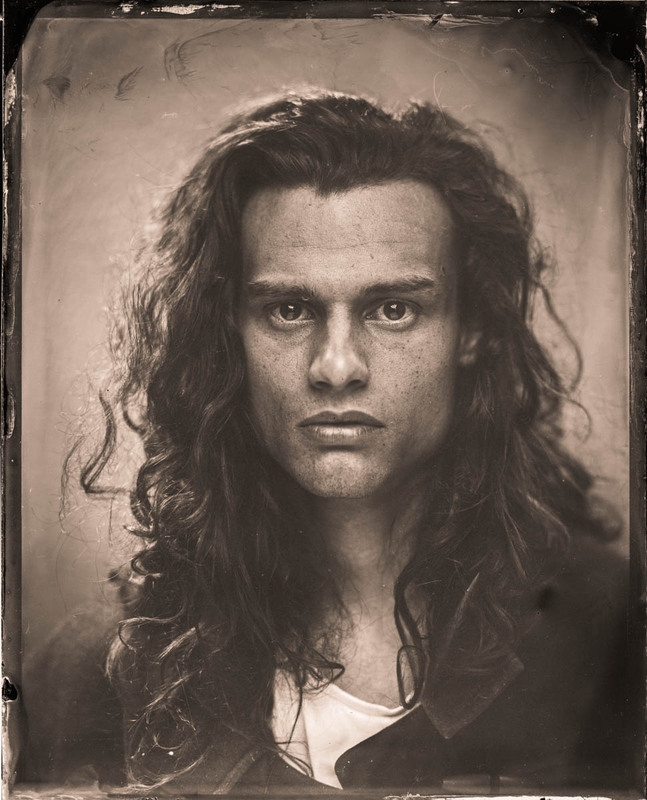 Lee Howell (a fine test subject) - Tintype by Paul Alsop and Luke White. 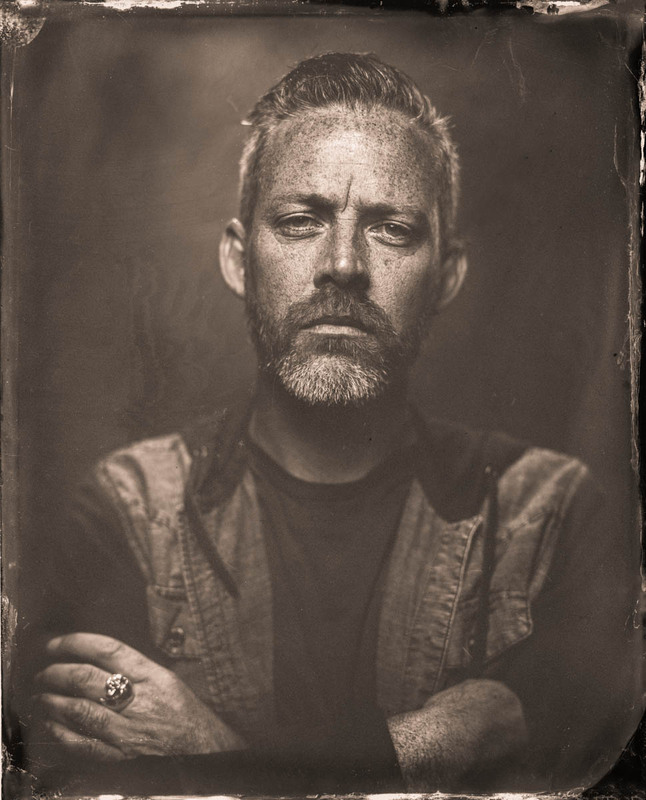 The wet plate collodion process is an antiquated technique that renders a beautiful aesthetic that I am in love with, however, it is quite a laborious and meticulous process that is known for having a mind of its own. I cannot explain the immense amount of angst and pressure I feel right up until I have made the first successful image. It hasn't happened to me yet, but I know my day will come when the show comes crashing down due to failing antiquated chemistry and technology and I can't make images. So I was very pleased when the very first test shot popped up in the developer. The next 36 hours were pretty much a creative blur of retina burning studio strobes, excellent characters, beautiful people, all wrapped up in a hazy fog of anesthetising ether fumes. We had a 39/40 plate hit rate, with only one image deciding to lift itself off the glass plate and vanish into thin air. Here are only a few of the images made on the day, stay tuned to this website and social media for more image releases in the near future.